The focus of our office is the evaluation, diagnosis and treatment of neuromusculoskeletal conditions. These include headaches, migraines, neck pain, whiplash, midback pain, strains and sprains, lower back pain, sciatica, bursitis, tendonitis, stenosis, extremity (arm and leg) problems and fibromyalgia. We also specialize in the treatment of sports related injuries. 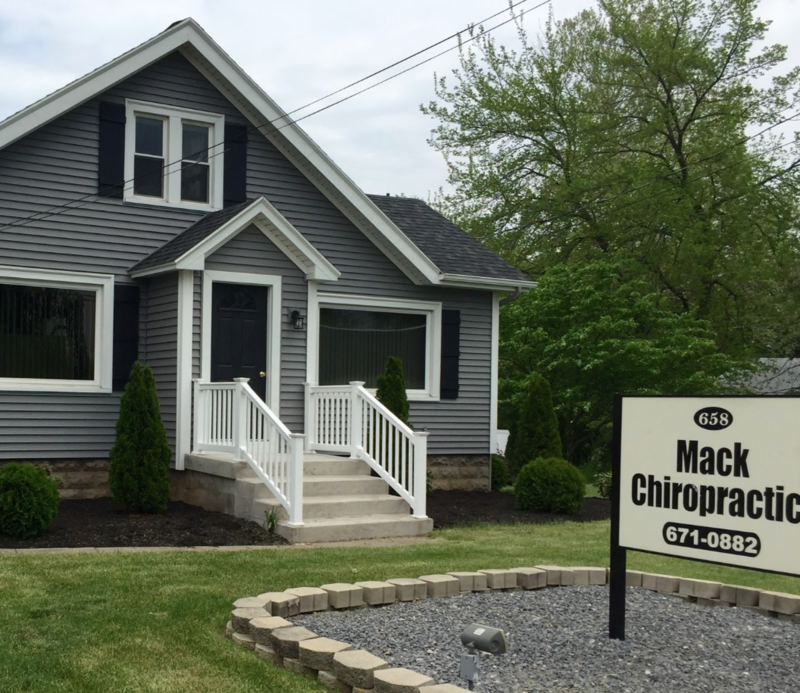 Dr. Daniel Mack Sr. is a graduate of SUNY Utica/Rome and Palmer College of Chiropractic. He began practice in Webster in 1982. Dr. Daniel Mack Jr. is a graduate of the University of Rochester and the New York Chiropractic College. He is also credentialed as a Certified Chiropractic Sports Practitioner (CCSP). Along with traditional Chiropractic adjustments, our Doctors are trained and experienced in techniques including Active Release Techniques (ART), Graston Technique, Ischemic Compression and Trigger Point Therapy. We have many therapies including Ultrasound, Inferential Current(muscle stimulation), Cold Laser (Low Level Laser), Flexion/Distraction, Hot Moist Packs and Impulse Adjusting tools that are used in conjunction with your treatment when needed.